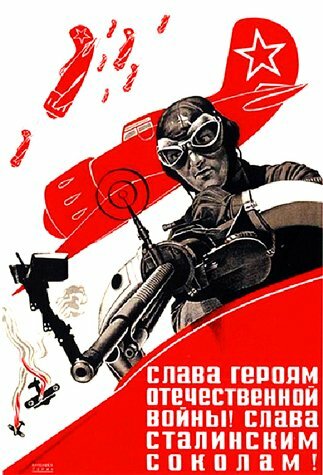 Attention, tovarisch! 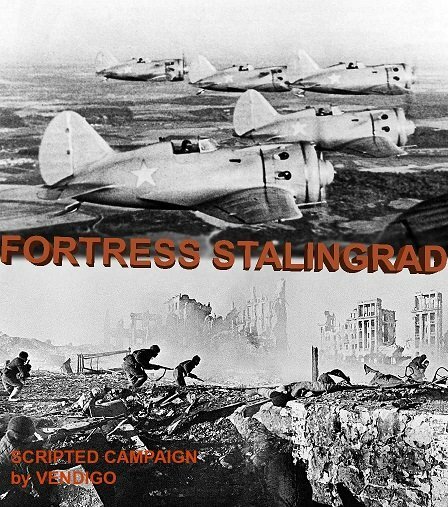 The enemy is at the gates of Stalingrad! There is no land to retreat any further! The invading force must be stopped here, on the bank of the Volga, now, whatever the cost. 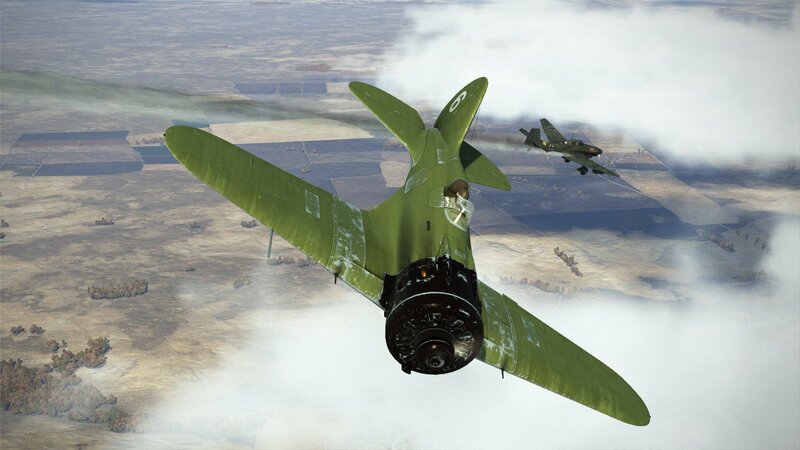 This is a 25-mission single player scripted campaign covering end of August – beginning of October 1942, just as the Wehrmacht closed in and fought their way into Stalingrad, only to be faced with utmost determination of the Red Army that was ready to hold the city against all odds. 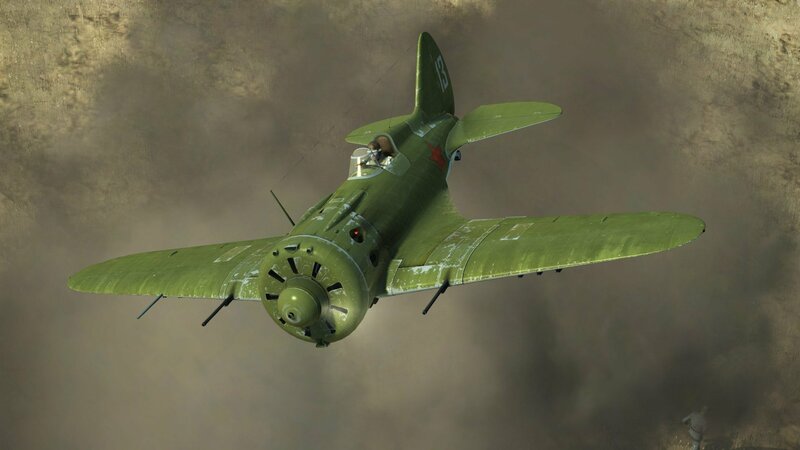 The player will fly an I-16 which means both BOM and BOS are required to run this campaign. 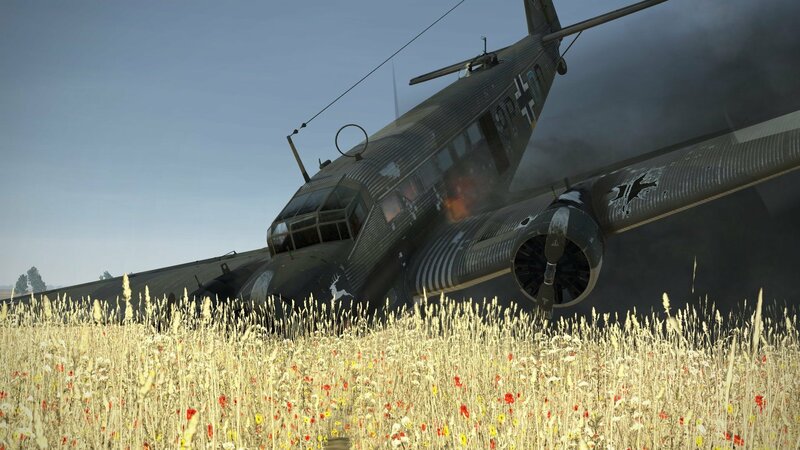 It has been the author’s intention to pursue historical accuracy while offering entertaining experience of combat simulator flying with variety of sorties including dogfights, escorts, interceptions and strafing. Currently the campaign is offered in English and Russian languages only! Feel free to comment and report any bugs/errors; your feedback is always appreciated! I would like to thank -DED-olaff for helpful tips on using the Full Mission Builder and for providing me with tactical map layer files! Why is the route lines red color? Thank you everyone, hope this campaign is worth your time. It has been a long long project. As VVS would show allies in red and enemy in blue in their maps, I chose red color for route lines. just merges with the front line. But I have to say this Scripted campaign makes me glad I’m giving the old beer barrel plane another try. It is really fun-especially with VR! Thanks for your efforts. Yes but only when the flight route runs over RKKA held area! But I have to say this Scripted campaign makes me glad I’m giving the old beer bottle plane another try. It is really fun-especially with VR! Thanks for your efforts. Sure I remember that effect, an early modification of Zero also had it - and you had to decrease throttle before certain manоeuvres to avoid engine gasping. But I think team Daidalos eliminated this effect at some point. Thanks for the kind words about this campaing! Hope I will be able to afford VR soon enough! Btw has anybody experienced performance issues like freezes, FPS drops, CTD's etc? It appears some people struggle to run it. "Btw has anybody experienced performance issues like freezes, FPS drops, CTD's etc? It appears some people struggle to run it. " Hi Vendigo. Thank you very much for the campaign. Yes freezes.. fps drops quite a lot momentarily. Always welcome! I notice you have a better video card than me but less RAM (I have GTX 780, 16Gb RAM) so I wonder how about performance, any FPS drops? Yes freezes.. fps drops quite a lot momentarily. Thanks for reporting it, and as your signature doesn't show what your rig is, could you post it here for me to better understand the situation. Also, will appreciate if you share some more details like how bad the FPS drops are, also which mission has them - I suppose it must be the first couple missions which are "heavy" and if so, do FPS drops occur right at the mission start or later when the CPU load adds up with more objects being activated? I would love to make this campaign playable for most of the people, so any details you feel like sharing will be appreciated! Flew 2 missions so far, FPS OK - usually between 50-60, lowest I have noticed was 47. I will upgrade to 16GB RAM soon. An update available to match the campaign to the current "IL-2" version (3.005)! Vendigo - Thank you so much for this campaign!!! Played the first three missions last night and loved it!! jg1234 you are welcome, it makes me happy to know people enjoy it! Has passed campaign! Thank you! I liked it very much. 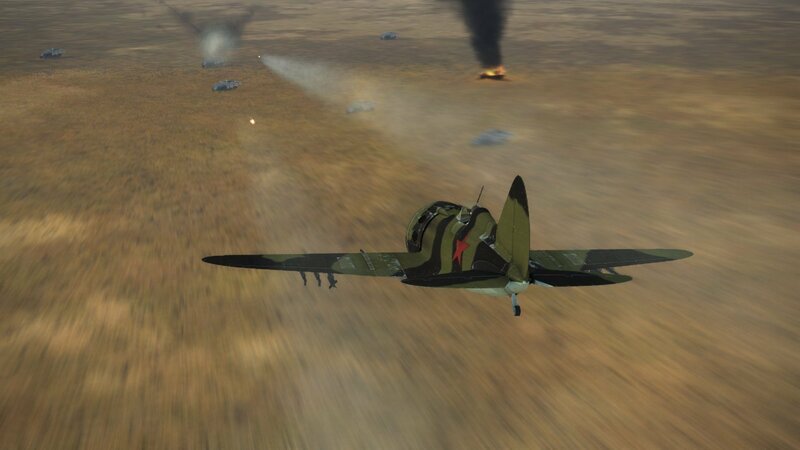 I liked large-scale air battles (though my processor in the thick of such missions slowed down a few, but what can I do). In order to attack, there is no shortage. Yes, and Messer is usually not very aggressive. And the last line in the last mission is certainly encouraging. Skrin removed under the spoiler, suddenly someone for himself intrigue will want to save. Salute. I try your campaign too. Respect, nicely done! But...I must say you overdone it by far....^^ You already wrote about historical accuracy, but this game isn´t bulid for this in mind. I´m on mission 2 and I must say, you put way too much stuff into it. I count around 6-7 of those black smoke packs along the Volga, this allone is a FPS killer for all who didn´t call a GTX1080 his own. 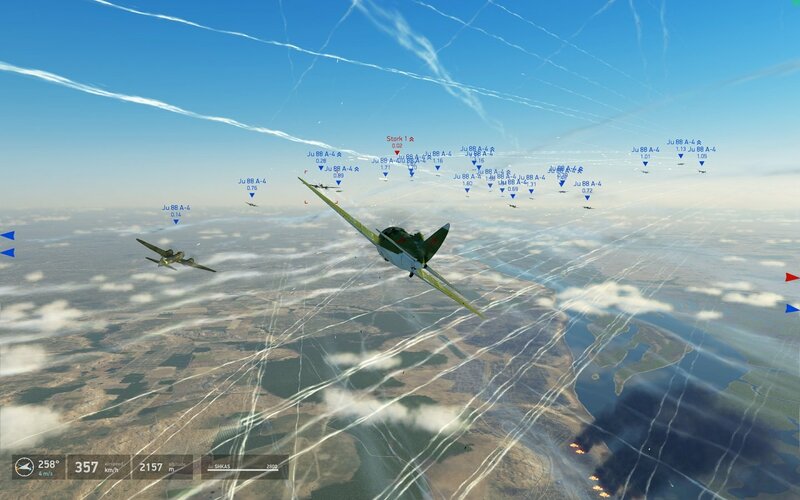 On top of this, you fill the sky with countless planes, all fighting each other or attack positions. This is the reason for the slow downs. You run into the engine limitations. 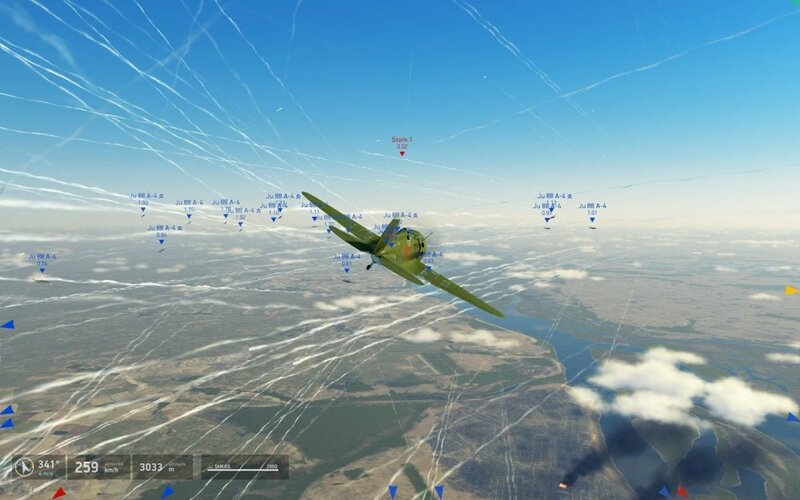 The IL-engine can´t handle so much planes at once, especially the huge Bomber formation(s) bring this sim to its knees. 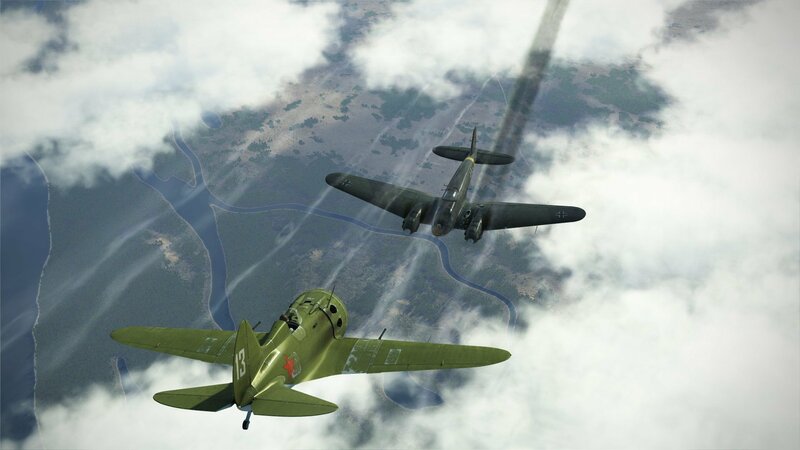 (the reason why we never see large B-17 formations in this game btw) We have the same problems in PWCG campaigns and missions as well. I would really enjoy your work, and I would be the first person who likes to see such realistic air battles over the burning city of stalingrad, but the campaign isn´t playable for me. The slow downs have a too big impact on the game engine and the playability of the missions. 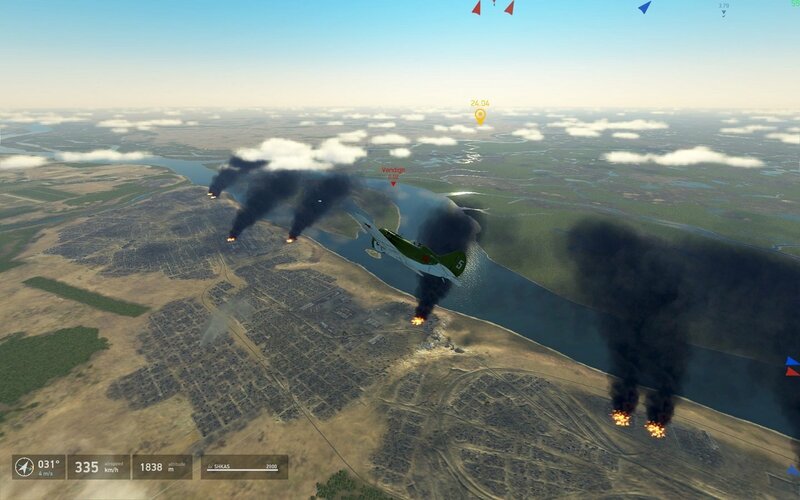 If you like, try to reduce the amount of Bombers by 1/2 the fighters by 1/4 and the smoke stuff by 1/2. Make a "light" or "medium" version so to speak. I have to agree. While I loved looking around and taking pics in mission 1, it was really crawling. 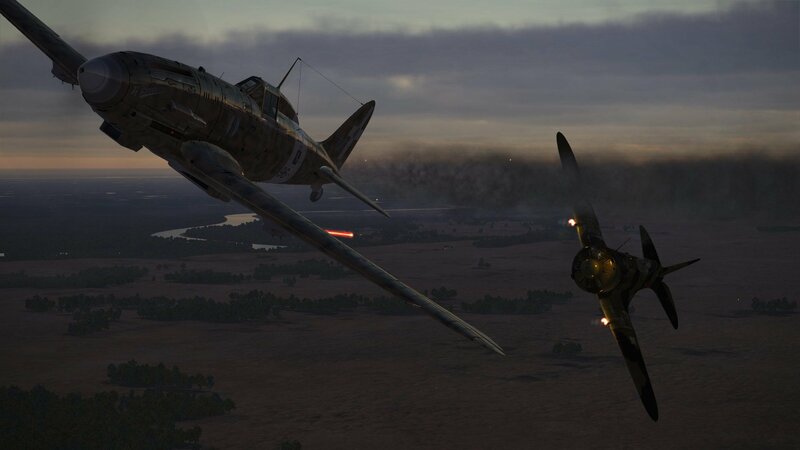 Love your ideas and attempts to bring the real war in the air to life but this DNE engine just can't handle this scale. I do use an older system but i can run most campaigns at 30-60 fps, but mission 1 alone took me down the 15-25 at best. Maybe a lite version is a good idea?? Thanks for all of your efforts and time you invested. And I do not agree. A campaign where many actors around (on land and in the air) are few. If the author has time to make a light version, but it can be good. But it's better to let the work on the continuation of the series! Semor76, BladeMeister thank you for taking time to comment even though you are unable to play the campaign. 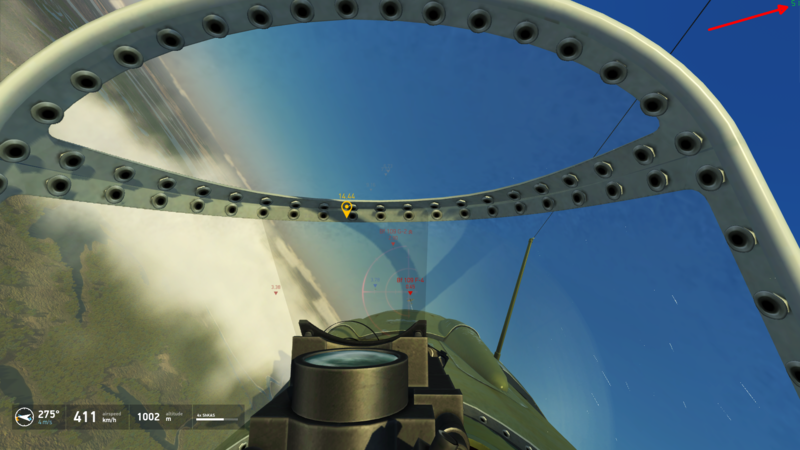 I can tell you that I have tested every mission many times and while I do get some FPS drops during certain “heated moments” (like flying in the midst of enemy bomber formation with all the gunners firing at you), those drops don’t seem serious, also the FPS rate comes back to normal (around 60) immediately after the player breaks the attack run. I have never experienced a drop of FPS so severe it could affect the gameplay, here I made screenshots of mission No.2, you can see the FPS I am getting. I think the more advanced your hardware is, the higher FPS you will get. 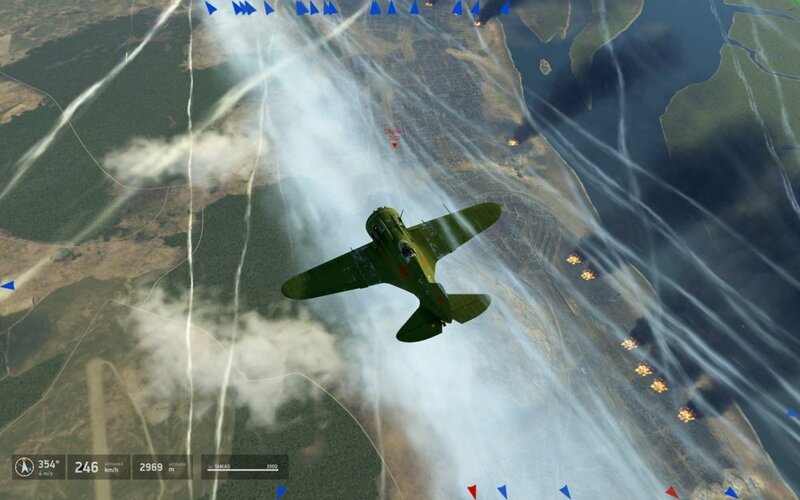 Even with engine limitations I still hope it will actually be possible to have a formation of some 50-60 B-17’s (if they’re ever made available) but of course you must have at least GTX1080 (or better - as new generation of video cards is already arriving, I think that will further improve FPS of “heavy” missions, don’t you think so?). Talking about bomber formations, I believe the developers also can help by tweaking AI so that the gunners do not fire at enemy plane when a friendly bomber plane is blocking the line of fire (right now too many gunners are firing at the same time which adds unnecessary load on CPU). 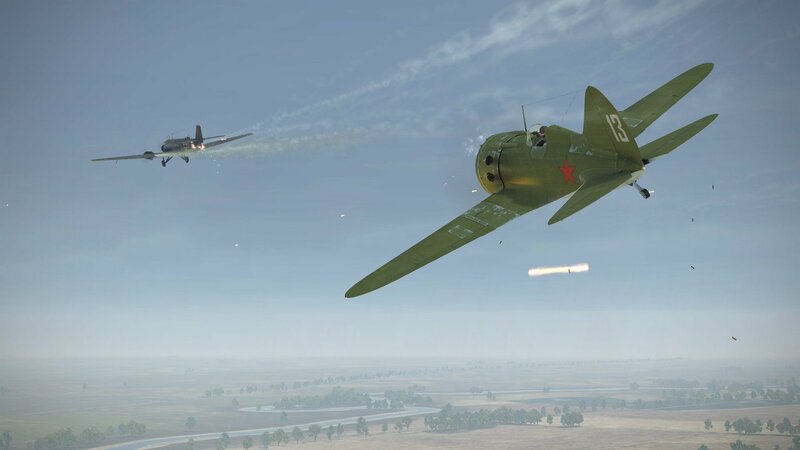 Also, the developers could let the mission creator to adjust the distance of engagement for the gunners (far, medium, close or return fire only), same as existing in-game commands. 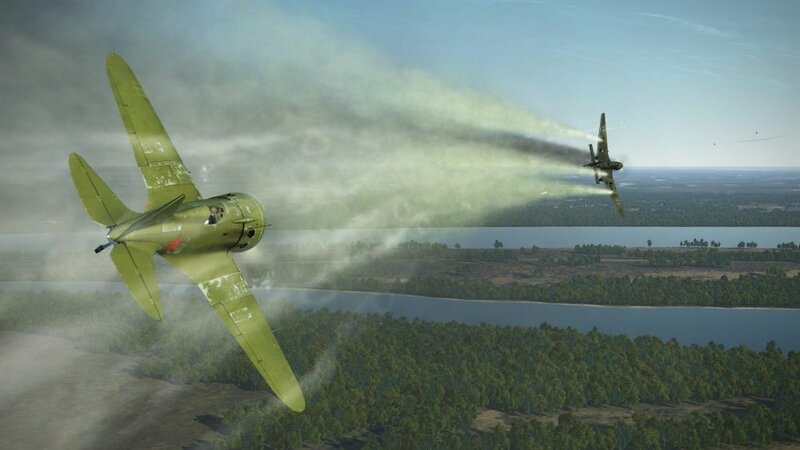 Regarding “light” version of the campaign, I do have plans to optimize it but they will include mostly tweaking start/stop of smoke effects of city fires, not actually decreasing the quantity of aircraft. But if anybody volunteers to “lighten” the missions by himself and post the “light” version of this campaign separately, I will not object! Great screenshots, thanks for making them! I think I could add them to the first post of this thread.. I think we´re talking about 2 different things here. I wrote about "slowdowns" not FPS drops. 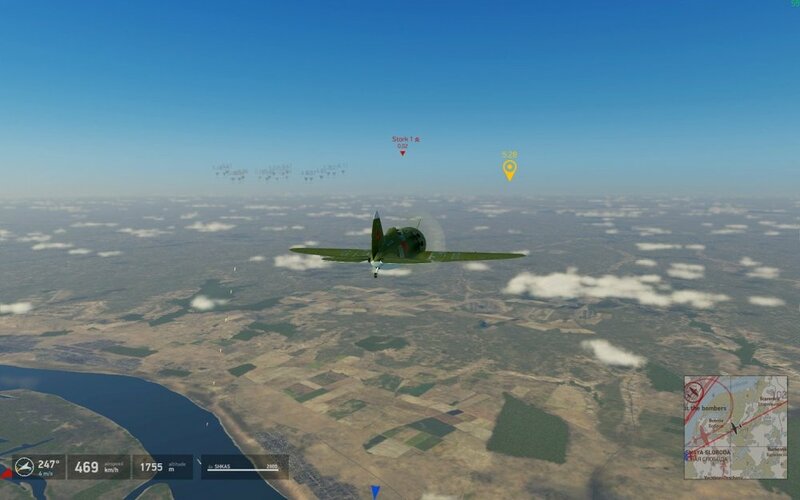 In your campaign I have constant high FPS all the times,but the sim simply slows down due to too much planes in the air. This is a well known issue, check the Technical issue section for more infos about it. 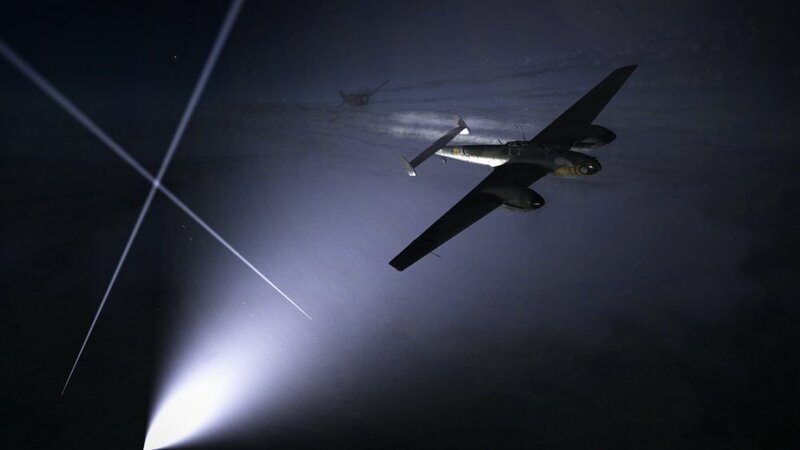 Important part of this problem is the fact that all planes uses the same FM,and in case of Bomber planes, if a mission builder puts too much of them into a mission, its brings the engine to its knees. This is well & critical discussed problem for a long time. At the end it was a Developer decission and we have to live with it. I see and I think I have experienced such slowdowns while testing my campaign but in my case they occur only after playing several long and "heavy" missions, one after another. That is why I usually re-start my PC after playing through several "heavy" missions, then I get no slowdowns. 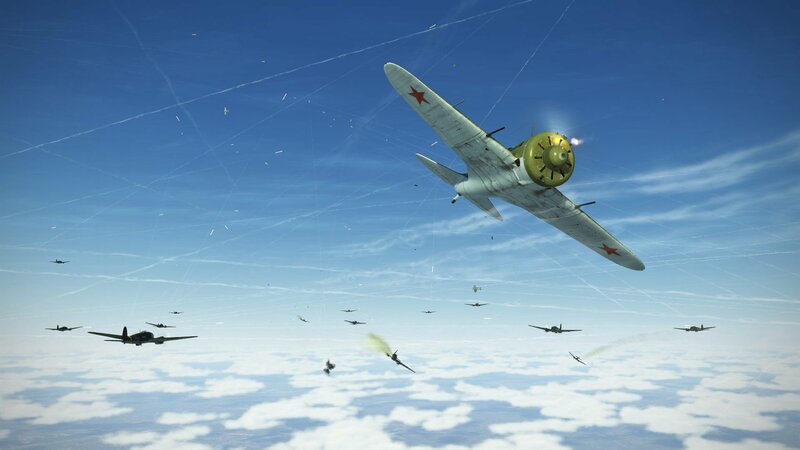 I have also noticed that such problem may occur after I play several missions in different maps, for example if I play a Moscow map sortie, then a Kuban map sortie and then start mission 1 or 2 of my campaign - it is likely to run abnormally slow. But re-starting the PC always solves the problem. So I wonder if you notice the game runs better if you start the "heavy" mission immediately after starting the game. As far as I understand there is no fixed limitation of number of AI untis (air and land based) that must be used in a mission in order for it to run smoothly on all PCs, I mean I think high-end PCs are are able to handle more untis. My PC is several years old and it can be considered no higher than "medium level" by today's standards but I am sure all missions are running fine for me. Maybe anybody with knowledge of FMB would be interested to test this campaign and "lighten" it and post the "light version"separately, I would appreciate it! how can I change / unlock the loadout for player aircraft. I want to play it a different way next time?  Hello, thanks for positive feedback! 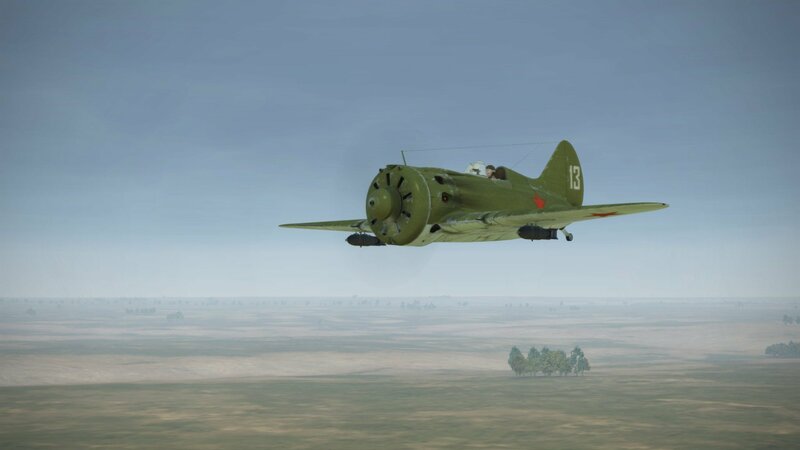 I have locked modifications and armament of the player's aircraft in all missions but you can unlock them; to do so you must edit the SETTINGS files in campaign's folder. then re-save the file. 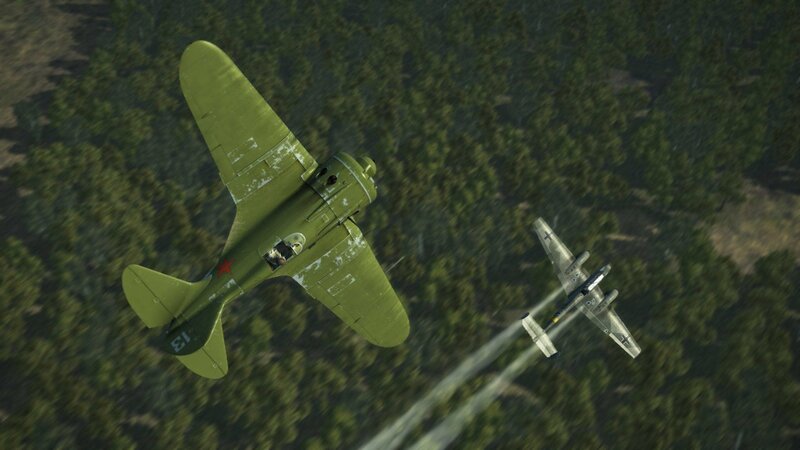 That will allow you to change modification and armament of your aircraft within game. Campaign re-saved after 3.008 update! Fixed some issues, including CTD error in the end of mission 5 ("Down to earth"). Floating bonfires along the runway in mission 8 ("Death to spies") are placed on the ground level. 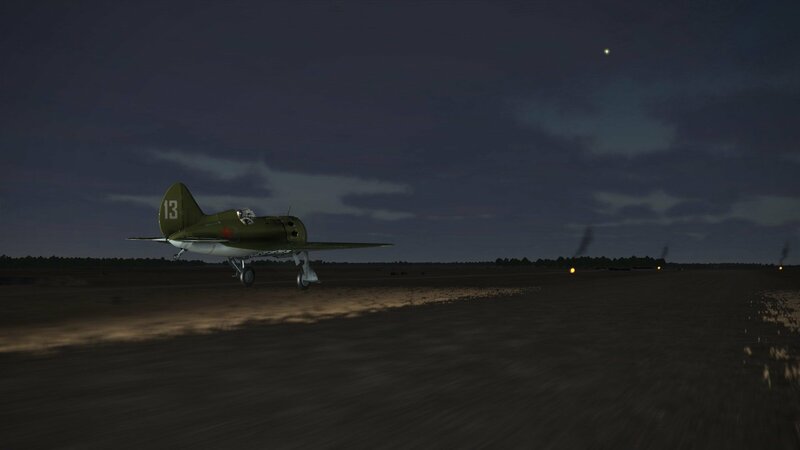 Also, most crowded missions have been tweaked for better performance, number of aircraft decreased a little, so those missions run more smoothly now. Will appreaciate any feedback, thank you! Download mission files (no skinpack included) here. 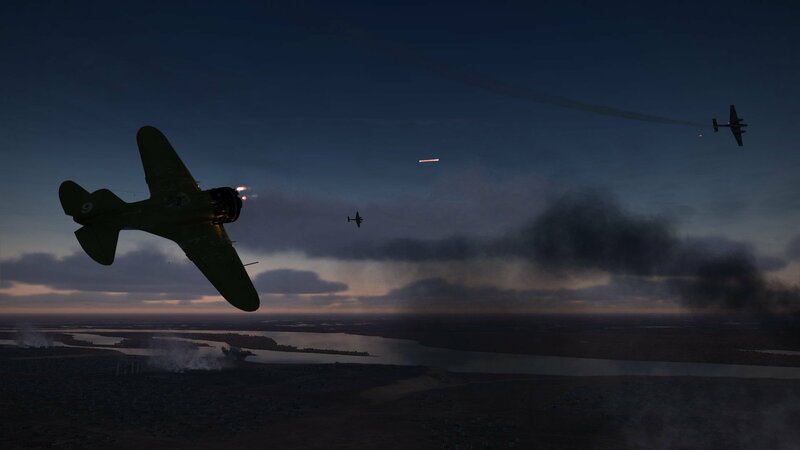 I have re-uploaded the updated campaign today, some more errors have been fixed, also the most crowded missions should run more smoothly now (quantity of aircraft a little less now). You can download the campaign files again from the post above! It's impossible. 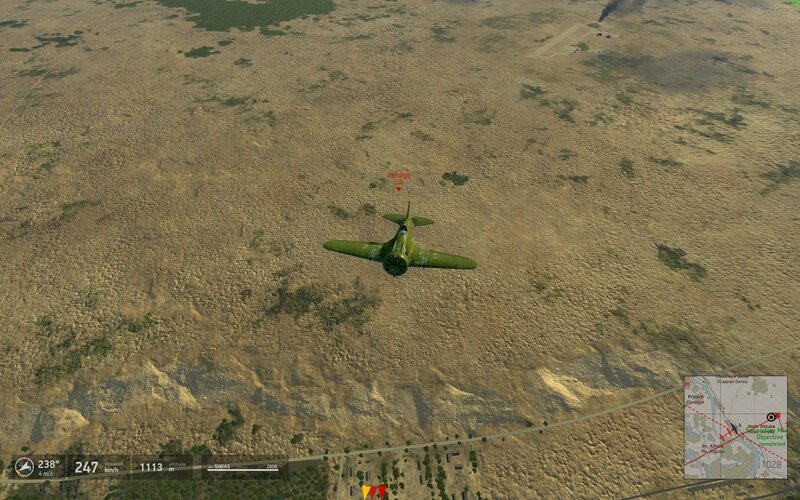 To fly the I-16, you need a BoM. 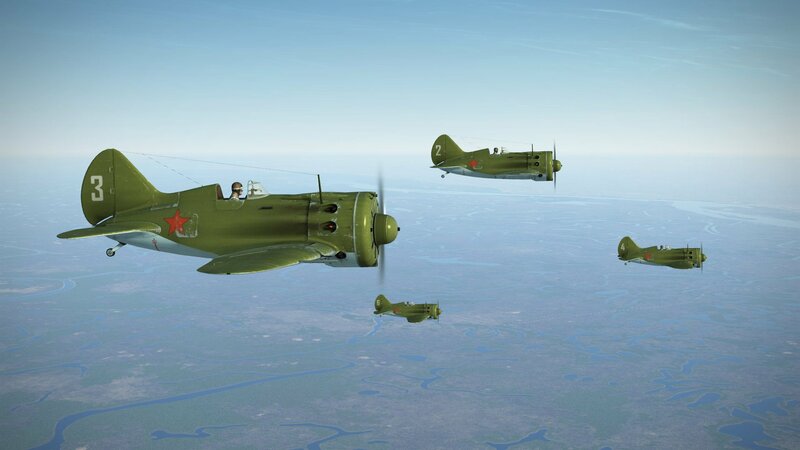 You can only manually change the player's plane in all missions, for example, on the Yak-1. Then the campaign will work without BoM.